"Due to increased unrest in Libya, a contingent of US forces supporting US Africa Command [AFRICOM] temporarily relocated from the country in response to security conditions on the ground", said a statement from the command, which is headquartered in Stuttgart, Germany. The self-styled Libyan National Army, led by Field Marshal Khalifa Hifter, launched a surprise offensive against the capital last week, a move that could potentially drag the country back into civil war. Libya: Fierce battles near capital Tripoli. It was hoped that a conference on holding national elections would be held soon, but that may be in question now as hostile forces sit in a position to potentially expel the UN-backed Government Of National Accord from their own capital. USA special forces were sent to Libya several times in recent years, with a series of raids to capture Libyans accused of terrorism. The UN Security Council held a close-door meeting late on Friday. 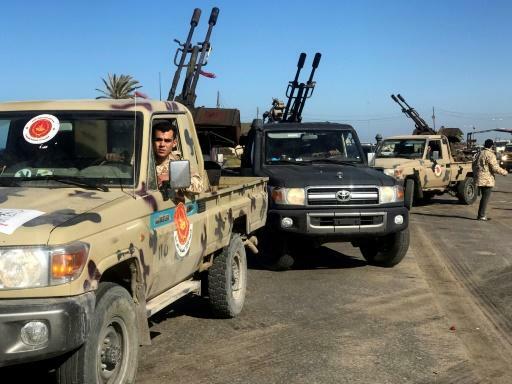 Dozens of militias have poured into Tripoli from cities such as Misurata and Zintan to join forces with pro-government militias to fend off Hifter.